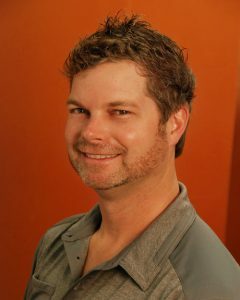 Dr. Chae Tracy grew up in a small Oklahoma town and was very active in sports and the outdoors. While always being interested in helping and serving others Dr. Chae decided to pursue a career in optometry. After attending The University of Oklahoma, he decided to return to his hometown and finish his studies while working for an optometrist. Dr. Chae graduated from East Central University with a Bachelor in Biology and accepted a job as an ophthalmic technician for an ophthalmologist in Dallas, TX. It was not until a year later that he decided to pursue other career options. Coming from a family history of nurses and pharmacists he decided that a more natural approach to healthcare was of his interest. Dr. Chae discovered chiropractic as a child for various sports related injuries with great results. It was not until a friend and chiropractic student introduced him once again to chiropractic and the possibility of pursuing it as a career. He was very excited about where the profession was going and the people’s lives that had been changed by chiropractic. He applied to Parker College of Chiropractic and was awarded a scholarship to attend. At this point he knew that this was the path that God had chosen for him in order to help people. 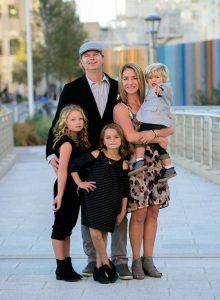 During his first trimester he met his future wife and partner in chiropractic, Dr. Monya. While at Parker he served on the Student Body Executive Council for three years, was involved in nutrition, pediatrics, founded The Sportsman Society and volunteered at Kids Day America and educated the community about health and wellness through various Community Outreach Programs. After graduating and receiving The Outstanding Student Achievement Award in 2004, he married his life partner and fellow classmate, Dr. Monya. After traveling Europe and deciding where to begin their lives together they moved to Austin, Tx to begin an eight-month internship. It was then time to return to a smaller town and begin practicing and sharing chiropractic with others in Dripping Springs, Tx. Dr. Chae’s primary focus is family wellness with an emphasis on specific correction of the atlas and the body’s proper posture. One of FFC’s Core Values is Community. As such Dr Chae has served as past Lions Club president, Ducks Unlimited Area Chairman, Chamber of Commerce Board of Directors, BNI membership and Leadership Committees, Founder of EPOC Austin and Dripping Springs Tourism Committee Board. In his downtime, Dr. Chae enjoys playing golf, fishing, biking, camping, hunting and spending quality time with his family , Sarys, Ciely, Caston and the lil boss Poncho. He very much enjoys the outdoors and escapes whenever possible.